hello 2016!!! i hope everyone had a happy new years. 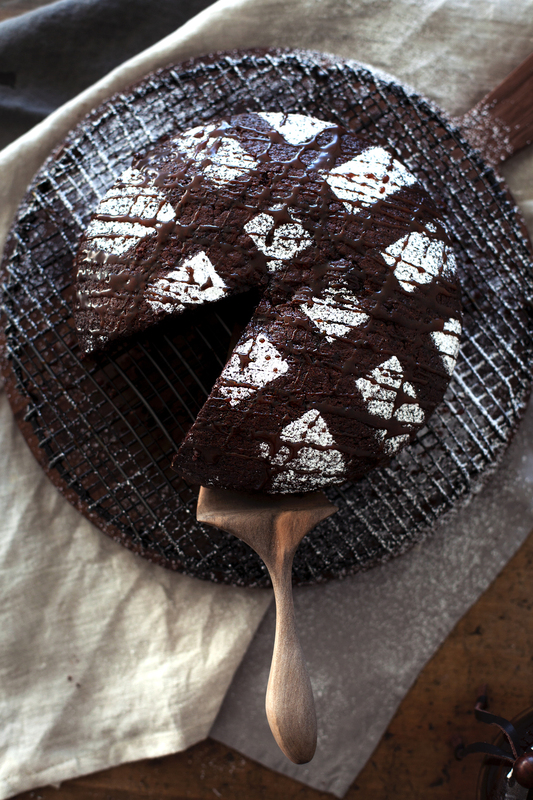 i intended for my first post of the year to be a healthy winter salad (for real, i did) but.. chocolate cake. 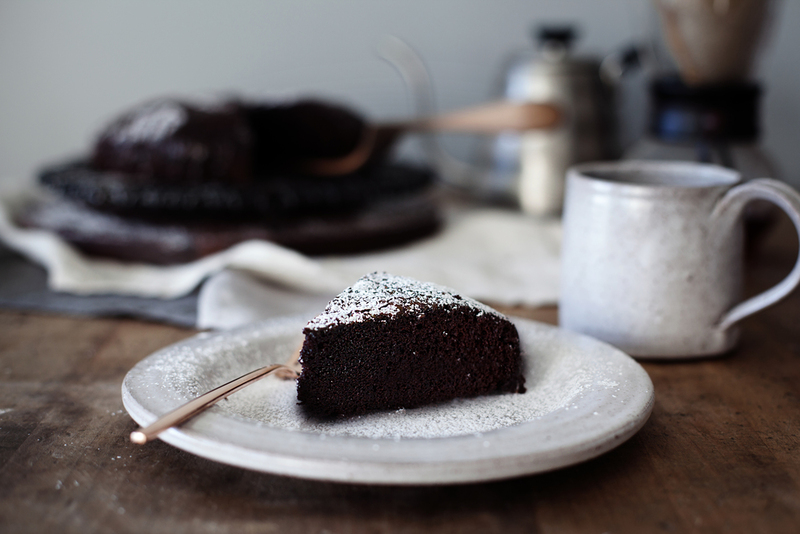 this is similar to my one bowl chocolate cake recipe, with the addition of coffee & dark chocolate. 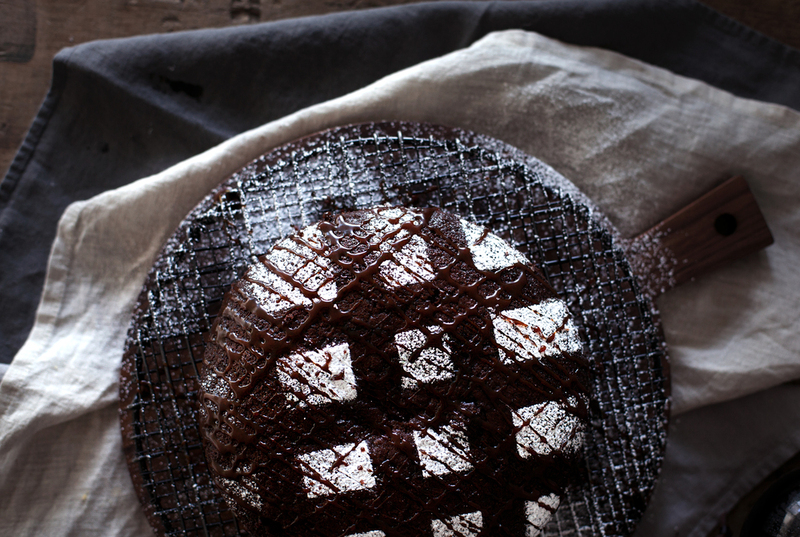 this cake can be served plain, with a little sprinkle of powdered sugar OR you can drizzle it with some whiskey caramel sauce like i did. cause yolo, it's 2016! preheat oven to 325 degrees. in a mixing bowl beat raw sugar, oil and vanilla. add eggs and milk until well combined. sift in cocoa powder, flour, salt and baking soda until just blended. slowly pour in hot espresso/coffee and stir until the batter looks smooth & silky. fold in chocolate chips, dusted in flour to prevent sinking. bake in two 8-inch round cake pans or a 9x13 greased dish for 30-40 minutes. dust in powdered sugar & drizzle in caramel sauce once cake is fully cooled.